Low-pressure microfiltration (MF) and ultrafiltration (UF) membranes are used in reuse applications that require better water quality than can be obtained using other tertiary filtration technologies. In addition, MF and UF membranes are often used as part of the pretreatment for medium-pressure nanofiltration (NF) membranes and high-pressure reverse osmosis (RO) membranes, which reduce the wastewater’s hardness and total dissolved solids (TDS), respectively. Aqua MultiBore® MF and UF membranes achieve effluent turbidities of less than 0.1 NTU, which meets or exceeds all of the state reuse standards for turbidity. Aqua MultiBore® MF and UF membranes remove at least 90% (1-log) of viruses and 99.99% (4-log) of both Cryptosporidium oocysts and Giardia cysts, removal credits that can be applied toward the pathogen removal required by current direct and indirect potable reuse regulations. 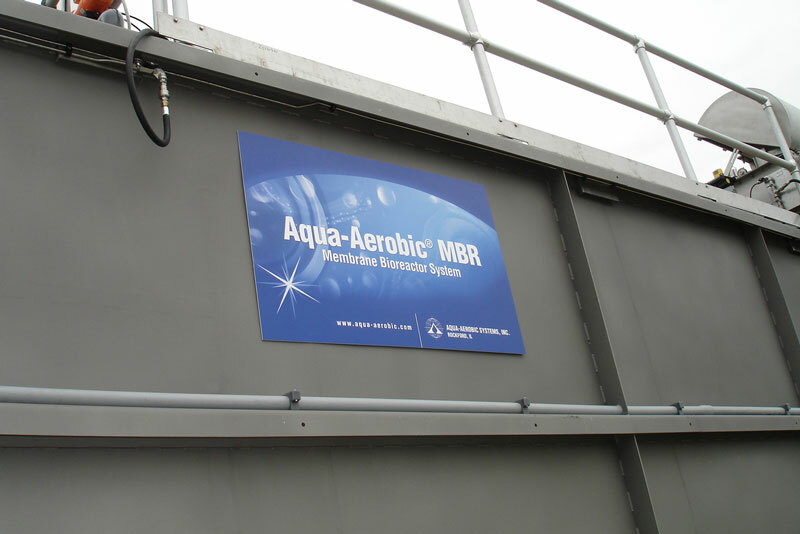 Aqua MultiBore® membranes are excellent pretreatment for NF and RO membranes, minimizing their cleaning requirements. A decision is made to upgrade and convert the existing sequencing batch reactor (SBR) system to a unique batch-type membrane bioreactor (MBR) system.